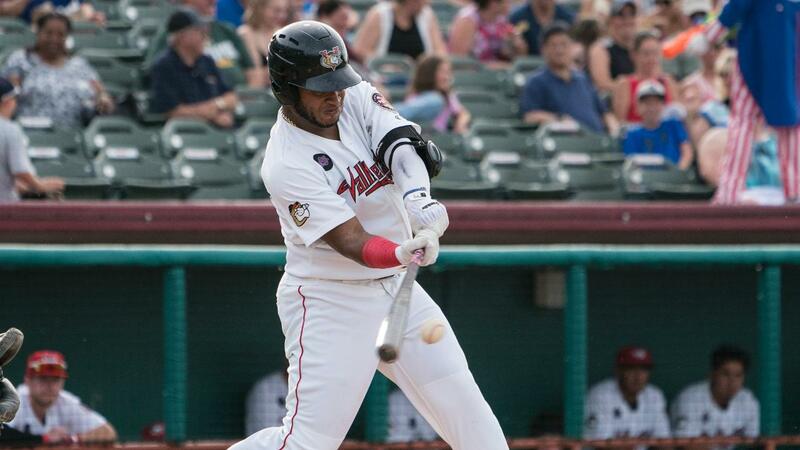 Despite a valiant ninth-inning rally, the Tri-City ValleyCats fell to the Vermont Lake Monsters in Burlington, Vermont on Sunday evening by a score of 2-1. The ValleyCats entered the ninth inning with a total of just two hits, before collecting three in the final frame to score their first run and strand the tying run at third base to end the game. After Enmanuel Valdez singled to open the ninth inning, Logan Mattix brought him home, before advancing to third on a base hit by Ramiro Rodriguez two pitches later. Nate Perry then lined out to end the game, setting up a rubber match between the ValleyCats and Lake Monsters in their regular season finale on Monday afternoon. Having already clinched the Stedler division crown earlier this week, the ValleyCats enter the final day of the regular season with a record of 42-32, set to begin the playoffs on Wednesday, September 5. Also on the night, the Mahoning Valley Scrappers clinched the New York-Penn League's Pinckney division, insuring that they will be the team that opposes Tri-City in the first round of the playoffs. Although the ValleyCats know who they will face in Round One, home field advantage is still up for grabs entering the final day of the regular season, with the ValleyCats having the upper hand over the Scrappers. As it stands, Tri-City has a record one game better than Mahoning Valley, making it so that they can clinch the second seed in the playoffs and home field advantage with a win in Vermont on Monday afternoon. The only scenario where the ValleyCats would slip to the No. 3 seed is if they lose on Monday and Mahoning Valley wins its matchup with West Virginia. The team with home field advantage would host the No. 3 seed in Game Two of the playoffs on Thursday, September 6, and also in Game Three (if necessary) on Friday, September 7. Each series in the New York-Penn League playoffs will be a best of three.